The annual luncheon event brought together students and generous donors. New College student scholarship recipients and donors gathered at the New College Foundation’s Keating Center on Wednesday, April 10, to celebrate student scholars and the generous supporters who funded their scholarships. New College President Donal O’Shea announced that the college awarded nearly $900,000 in private scholarships through the foundation this academic year. Additionally, the college distributed $51,000 in grant funding for student travel and research. 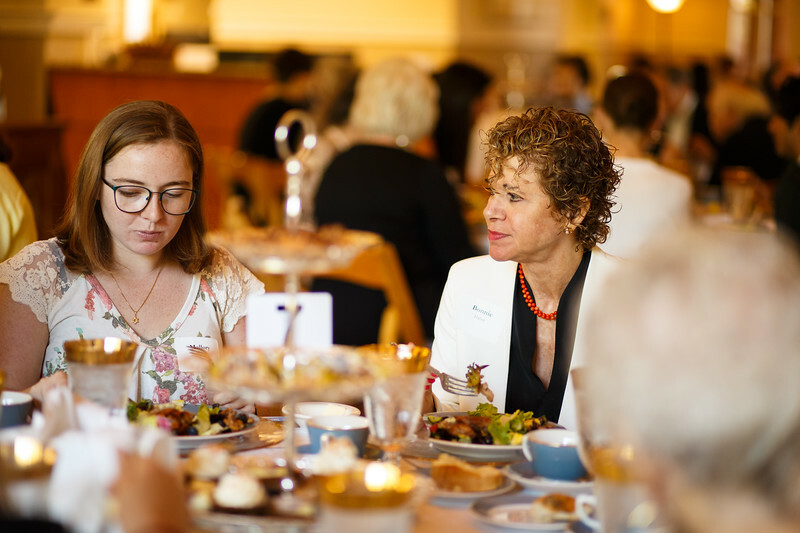 The annual luncheon event featured two student speakers who described what brought them to New College, what makes their educational experience unique, and how scholarships enabled them to fulfill their dreams. Bhardwaj interned at Express Scripts last summer, working to develop software that helps patients with chronic illnesses manage their symptoms. This summer, he will build software that helps farmers reduce waste at Climate in San Francisco. 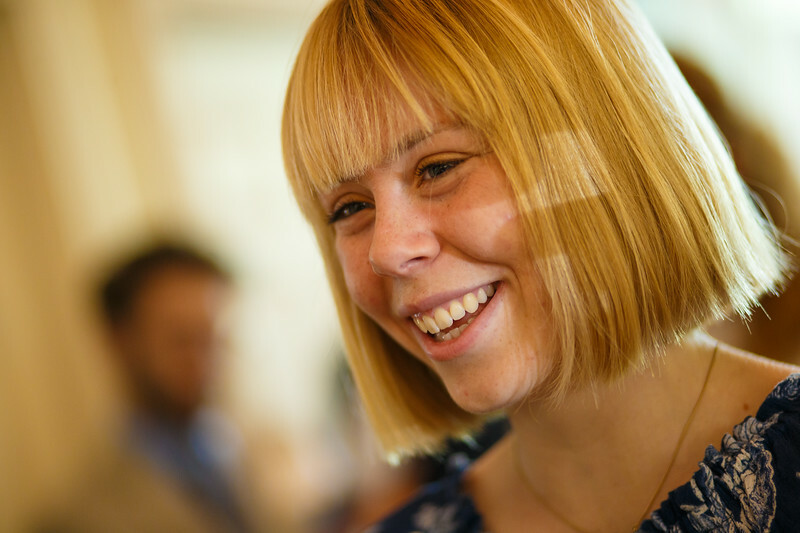 Fourth-year student Cassidy Heaton recalled starting her academic career at the University of Chicago before New College, which she had visited as a high school student. “New College has done more for me than I can put into words,” said Heaton. “I have found my people here – students who are just as passionate, driven and excited about the future as I am, and professors who inspire and empower me every single day. “The impact you have made on the lives of our student scholars is a catalyst for future inventors, scholars, entrepreneurs and more,” President O’Shea concluded. For more information about scholarship support or other ways to give, contact the New College Foundation at 941-487-4800, or email foundation@ncf.edu. — Linda Joffe is a communications specialist at the New College Foundation.